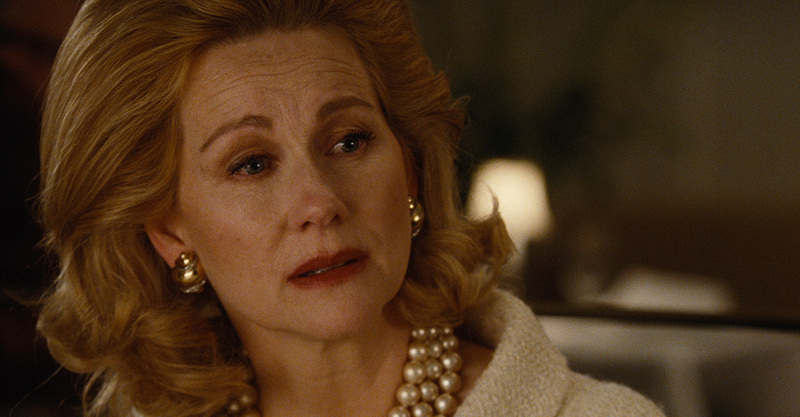 Laura Linney is an American actress who works in film, television, and theatre. Her recent film work includes Sully, directed by Clint Eastwood, with Tom Hanks; The Dinner, directed by Oren Moverman with Richard Gere, Steve Coogan, and Rebecca Hall; Genius, directed by Michael Grandage, alongside Colin Firth, Jude Law and Nicole Kidman; Mr. Holmes, directed by Bill Condon and starring Ian McKellen; and Teenage Mutant Ninja Turtles: Out of the Shadows, directed by Dave Green. She has appeared in Kenneth Lonergan’s You Can Count on Me, Bill Condon’s Kinsey, and Tamara Jenkins’ The Savages, receiving Oscar nominations; Mr. Condon’s The Fifth Estate; Roger Michell’s Hyde Park on Hudson; Noah Baumbach’s The Squid and the Whale; Clint Eastwood’s Mystic River and Absolute Power; Peter Weir’s The Truman Show; Gregory Hoblit’s Primal Fear; Mark Pellington’s The Mothman Prophecies; Richard Curtis’ Love Actually; Dylan Kidd’s P.S. ; Terence Davies’ The House of Mirth; Jacob Estes’ The Details; and Frank Marshall’s Congo, among others. She starred in and produced the Showtime series The Big C, for four seasons, for which she won a few awards, as she did for her portrayal of Abigail Adams in the HBO miniseries John Adams, directed by Tom Hooper. Early in her career she starred as Mary Ann Singleton in Armistead Maupin’s Tales of the City series, a job for which she continues to be most grateful and proud. She appeared as Kelsey Grammer’s final girlfriend in the last six episodes of Frasier; was directed by Stanley Donen in Love Letters; and starred opposite Joanne Woodward in Blind Spot. Ms. Linney has appeared in many Broadway productions, most notably Time Stands Still and Sight Unseen, both directed by Daniel Sullivan and written by Donald Margulies; and Arthur Miller’s The Crucible, directed by Richard Eyre, opposite Liam Neeson, with whom she has worked many times. Other plays include Six Degrees of Separation, Honour, Uncle Vanya, Les Liaisons Dangereuses, Holiday, and The Seagull. She has been nominated three times for the Academy Award, three times for the Tony Award, once for a BAFTA Award, and five times for the Golden Globe. Ms. Linney has won one SAG Award, one National Board of Review Award, two Golden Globes, and four Emmy Awards. She holds two honorary Doctorates from her alma maters, Brown University and The Juilliard School.